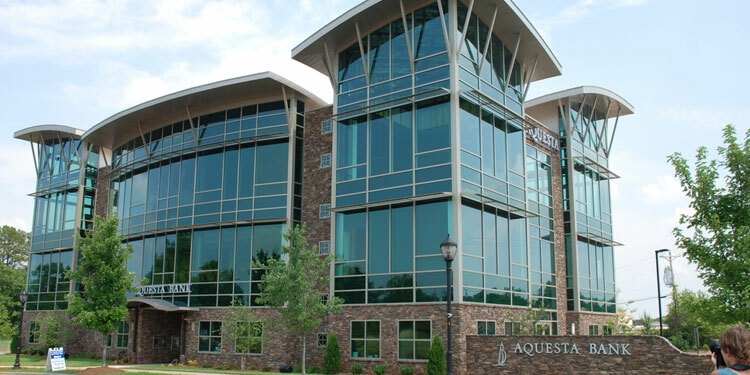 Jan. 16 Aquesta Financial Holdings, the parent company of Aquesta Bank, reported record earnings and loan growth for the fourth quarter of 2018 as well as the full year. The Cornelius-based bank reported net income of $942,000 compared to $204,000 during the last quarter of 2017. For the full year 2018, net income was $4.2 million compared to $1.9 million in 2017. The increase in Aquesta’s 2018 net income was primarily due to the sale of Aquesta Insurance Services during the second quarter. Net income for the year includes a one-time after tax gain of $1.3 million or 32 cents per share. Normalized earnings were $3.0 million for 2018, more than 50 percent ahead of 2017. Jim Engel, CEO & President of Aquesta said “excellent earnings combined with excellent growth for the final quarter capping an outstanding year.” He added that core deposit growth was “enviable” compared to peer groups. Loan growth of $63.7 million for 2018 was 20.9 percent ahead of 2017. The bank also had no foreclosed property as of Dec. 31, 2018. Aquesta’s total assets were $460.1 million compared to $408.6 million at the end of 2017. Total loans were $369.0 million at year-end 2018 compared to $305.3 million on Dec. 31, 2017. Nonperforming assets as of Dec. 31, 2018 were at $1.2 million compared to $27,000 at the end of 2017.